Matz is visiting Lumosity this afternoon and they’ll be asking him the top 10 questions left on this Reddit thread later today. Got a question? Ask it while you can. Rails 4.2 will come with an all new, faster and more flexible HTML sanitization mechanism for cleaning up user-supplied HTML. 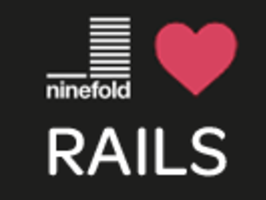 Ship your Rails app with free hosting & deployment. Experience superior performance, easier deployment and amazing support for free. Just sign-up, deploy a Rails app and enter your credit card details within 30 days. This gets you a 1.5 GB combined Rails app server in the US, for free. Takes place in Tokyo, Japan between September 18-20. Love it or hate it, RMagick remains one of the most popular image processing libraries in Ruby, but it’s gotten a bit messy and someone has forked it to keep up maintenance. Pat Maddox (RSpec) has launched a Ruby coding practice service with free daily examples and a lesson each week designed to make you a better Ruby programmer. He’ll be adding extended paid features next week but the core is free.